Love is most definitely in the air, with so many couples getting engaged on Valentines Day. Cupids bow and arrow is on point and Valentine’s Day is the most popular day to pop the big question. But it doesn’t have to be as ‘cliché’ as you might think…. Be creative, she’ll be expecting the hearts and flowers, bubbles and bathtubs. Your Valentines Day proposal could be more than just hearts and bubbles, it could be very unique. If a more traditional proposal is your style, the fancy restaurant proposal is the way forward. Why not arrange plans with friends to throw off any suspicions. However, actually book a romantic meal, collect your future fiancé in a limo, with the waiter on standby. As you walk into your favourite restaurant, he takes you to your seats and just before you sit down and order, pop the question. If you’re not the ‘get down on your knee’ type of person, what about making an appointment with a local reputable jewellers and head out shopping. Have a few pre-selected engagement rings ready, walk in the Jewellers and have them bring out your selection and pop the question there and then. Let her choose her own ring! What about a truly wintery proposal in February, say it in snow… Let her stumble upon your written words in snow, “Will you marry me?”. Build a snowman, well a snowlady, with arms, and place the ring on the snowladys hand, don’t lose it though! Candlelight can be a super romantic proposal. After a goodnight kiss, turn off the lights and have ‘glow in the dark’ letters with stars and hearts light up your bedroom walls or ceiling. Putting the ring under her pillow and let mer magically find it. OMG imagine! If you want to show how much your other half means to you, 14 days leading up to Valentine’s Day, send love notes. Reminders of special occasions you’ve shared and on the big day – pop the big question. If your engaged or married… Don’t let that spark go, rekindle the most romantic times you’ve shared. Treat your loved one to a spa day, hotel break, slave for the day vouchers or book your first ever holiday destination you shared together as a surprise and take them at the airport, with passports and bags already packed! 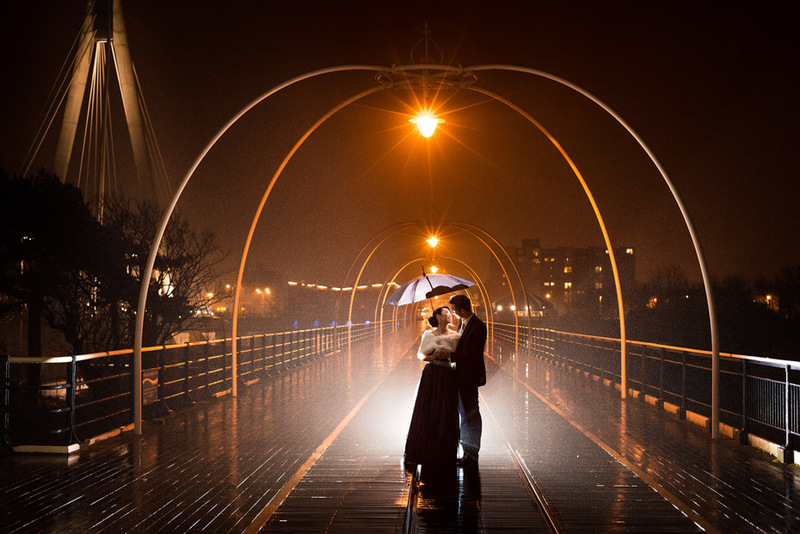 I’ve selected a few romantic images recently used in a local wedding article with the Southport Visitor, who actually inspired this post, enjoy!